Gnome 3 is now finally available. 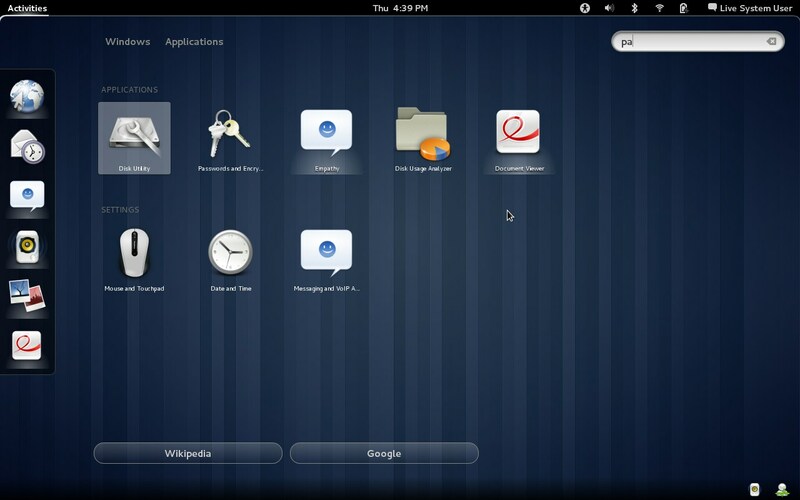 However it will take some time before major Linux distributions start integrating Gnome 3 Desktop into their systems. Mean while, you can try Gnome 3 using a Live CD for your favourite Linux distribution. In case you are looking to install Gnome 3 Desktop on your Ubuntu 11.04 system in order to get a better feel, then here is a tutorial for you. Gnome 3 looks so awesome! ATTENTION: We would like to say before hand that installing Gnome 3 on your system may break it and render many things un-usable as the Gnome 3 repository is highly unstable even now. So in case you are planning to install Gnome 3 on your production system, we would recommend you to hold on till your distribution comes out with a supported version of Gnome 3. Note: Refer to this guide if you want to revert back to Unity after installing GNOME3. Gnome 3 Desktop can be installed in Ubuntu 10.10 Maverick using the following commands. Please note that this PPA (For Ubuntu 10.10) is old and hasn't been updated unlike Natty and there is NO WAY TO ROLL BACK! Reboot your computer after the installation is over so that the new components and the environment can sink in properly. In case you are facing a problem or want to report a bug, you can do it here.